Pickles is proud to be conducting the feature auction at Australia’s largest Construction Industry Expo for the fourth year running. 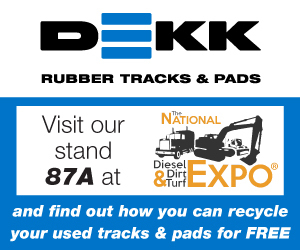 A major supporter of Diesel, Dirt & Turf since its inception, Pickles is gearing up for a big day with a load of industry insights ready to be shared, teams ready to greet OEMs, exhibitors and customers as well as a standout line-up of quality ex-government, council and fleet assets. The feature auction includes late-model, low hour, ready for work equipment such as ride-on mowers, tractors, a huge range of excavators, skid steer loaders, backhoes, wheel loaders as well as a variety of civil-related trucks. Running over three days, from May 3-5 in Penrith, NSW, the main auction will start at 1 pm on Saturday, May 4. Last year, Pickles achieved a 95 percent clearance rate including a 2005 Hino FS 6×4 Vac Truck that sold for $175,000. 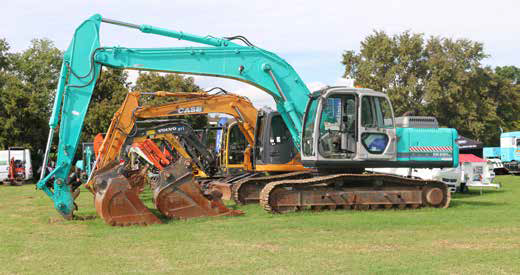 This year sees an even better cross-section of equipment for bidding competition. 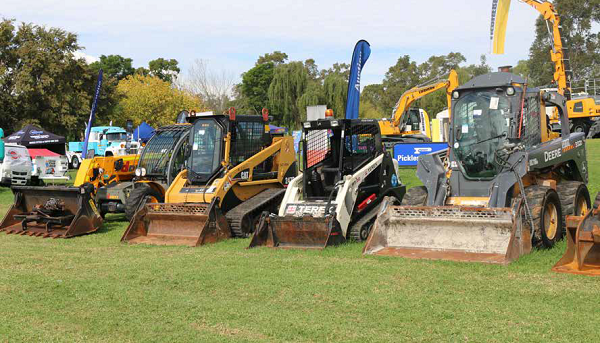 We chat to Mark Morris, NSW OEM State Manager – Earthmoving about what to expect. What Can You Tell Us About The Assets Listed In The Event Auction? The DDT Auction is one of my favourite auctions on the calendar. 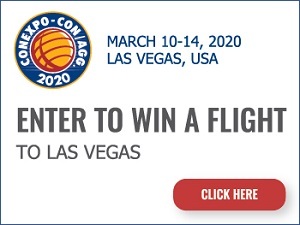 A ‘Live Trade Show Auction’ was an industry first in 2015 and each year has become bigger and better with 2019 shaping up nicely. Buyers and spectators are not interested in participating or watching an auction with 20 similar assets selling for the same price. Everyone loves a bit of variety and the ability to relate to an asset being sold. The 2019 line up will see just that, a great variety of well-maintained equipment with the majority from government departments. Are There Any Unique Assets We Should Be Watching Out For? The asset itself isn’t unique because they are extremely popular throughout the industry, however, the circumstance is certainly unique. 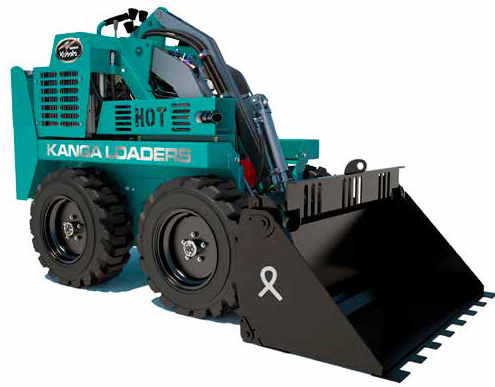 Kanga Loaders is donating a brand new Series 6 Diesel Loader with all proceeds going to the Ovarian Cancer Research Foundation. The Kanga Loaders factory is just putting the finishing touches on the signature OCRF Green powerhouse, which will be sure to draw a crowd as it goes under the hammer. 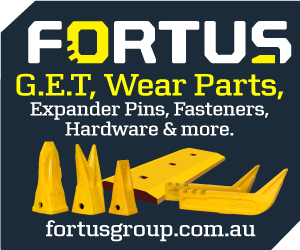 How Does Pickles Fit Within The Earthmoving Industry? Pickles is a renowned auctioneering and valuation expert with a strong and rich history in conducting large, event-style auctions across various industrial sectors including the earthmoving industry. With 50+ years’ experience, an international footprint, unrivalled capabilities and expertise, Pickles has been conducting auctions similar to DDT with fantastic results. 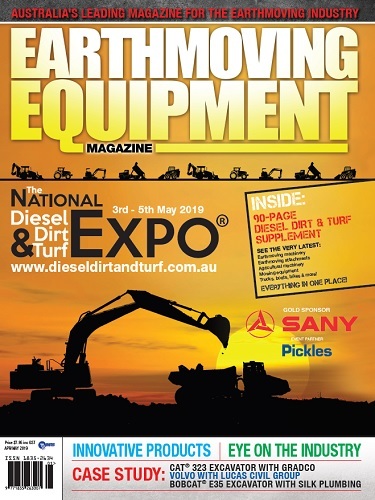 In 2018, Pickles held a Multi-Million Dollar Civil & Quarry Auction in Sydney for what was initially a package of surplus equipment for a single vendor. Through industry contacts and innovative pre-marketing, the Pickles team grew the auction from 70 assets to over 200 to become the largest auction of its type for over five years in Sydney. This auction saw record attendees on the ground and record participants live on the internet. What Services Does Pickles Offer For Those Looking To Buy Or Sell? Any tips for buying at auction? Buying at auction can be a daunting experience especially if you have not participated in one before. The auctioneer will be standing higher than the crowd and churning out words and numbers into a microphone that sound like 100 words jammed into one. Don’t let this intimidate you because every other person at the auction is probably thinking the same thing. My best tip is if you’re not sure, ask. There is often staff standing close to the auctioneer and they are more than happy to help point you in the right direction. Can You Share Any Insights About The Future Of The Civil Industry? 2018 has been the third consecutive year of consistent growth across the entire civil industry. It’s booming with recent estimates showing employment growing from about 50,000 jobs to 200,000 jobs over the past five years in NSW alone. The NSW Budget 2018-19 included $87.2 billion spending on infrastructure over the next four years, providing a degree of stability for years to come for the industry. Tier 1 Projects are in different stages of construction and have created peaks and troughs for equipment demand. With a recent decline in the property market, subdivision and residential developments have slowed creating less used sales activity for Building and Construction Equipment. With so many projects ticking along it is hard to foresee a dramatic fall in the market, it will slow in 2019 but should plateau over time.